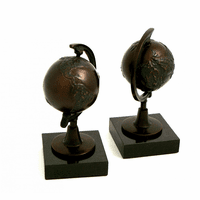 See the world without ever leaving the office! This stunning 20' diameter illuminated floor globe features over 4,200 place names on a hand-applied, hand-cut map. 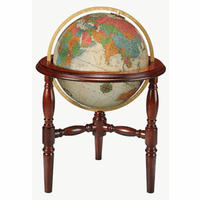 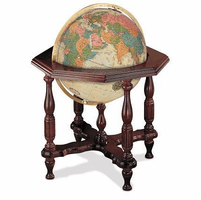 A beautiful brass meridian surrounds the globe, which is set in a carved hardwood floor stand, with total dimensions of 26' x 26' x 40'. 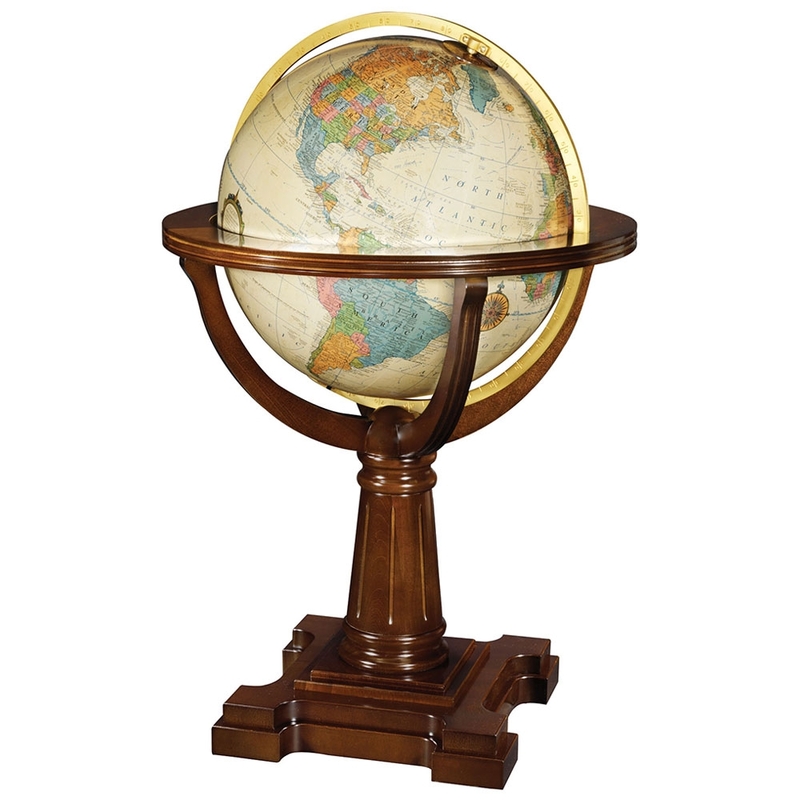 The globe includes a numbered limited edition plaque, as well as the most current edition of the hard-bound World Atlas. 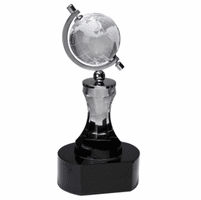 This piece will be a stunning focal point for home or office.